Sleepy, suburban Campbell's City Council elected, Evan Low (pictured) 26, one of the youngest gay and youngest Asian American mayors in the country. "He'll have his work cut out for him, but I think he'll find his way," said City Councilman Michael Kotowski. 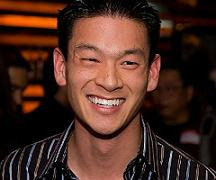 Campbell seems to be an unlikely city for a young, gay, Asian American politician to gain a foothold in public service. The San Jose suburb is 70 percent white and 11 percent Asian, with a small, quiet gay community. Low said he received hate mail when he announced his opposition to Proposition 8, the gay marriage ban, as well as threats of a recall. But he never considered moving to San Francisco or San Jose, which have larger gay communities, he said. "For me, it's about making a difference in the community I live in," he said. "Campbell is my home."